Ensuring the right products at the right time, in the right place and in the correct quantity has always been the mantra for success of any business. Formula#1 or better known as F1, being the fastest racing event on earth, has a huge viewership all over the world with each team having millions of fans. However, every fan who celebrates his/her favourite driver winning or getting a podium finish needs to know the secret behind the organizing of the races. How are these races and practice sessions held with the venue changing every week and the organizing time reducing year after year? Formula one is the fastest racing game played on earth with cars crossing 300kmph around pre-determined stretch of road as quickly as possible. It is about drivers fighting wheel-to-wheel in fe­rociously rapid machines. For some casual observers this is all that Formula One will ever be, but those who delve a little deeper will discover a vast, ever moving circus of pe­ople and parts. There’s lot more behind the scene that goes into this ferocious neck to neck battle that takes the whole world on ride. When Sebastian Vettel won the Canadian Grand Prix on 9/6/2013, he understandably received most of the plaudits. But supporting Vettel’s superb driving effort was a crew of over 162 odd people with over 24 cars and many more accessories and tool kits required for an entire season. Teams usually take three complete cars to each venue and another one can be built from parts. They used to take several engines and gear boxes. This all has to be repeated from 17 to 19 times per season plus testing which is another several times du­ring the season and another several times off-season. On one hand, where the fans just have an idea of the grand prix on a Sunday afternoon, the actual race starts much before. The logistics race starts much earlier than the Formu­la 1 season as soon as the next season’s calendar is con­firmed, teams starts they work. · Travel Distance: The amount of travelling involved each season for each of the teams is something around 160,000 kilometres (100,000 miles) which includes all the testing and racing sessions including at least at least 30 tonnes of equipment, including up to 100 personnel. · Accommodation: For each of the races besides the booking of flights, arrangement of visas and hotel reservations has to be crucially planned. There is also the use of hire vehicles to transfer team personnel from the hotel to the track and vice versa, and not to mention to events pertaining to marketing and branding. 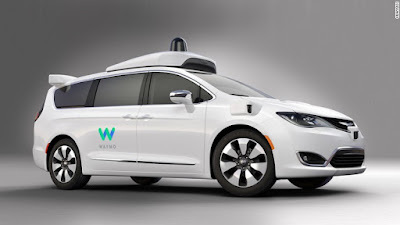 · Cars and Equipments Logistics: Planning how the cars will make their way to the race tracks on five continents with barely any time to catch the breath in between races. For the fly away races a lot of equipment is sent by ship three months before the race. This inc­ludes garage and motor home constructions, cables and other heavy equipment. The air transportation of the equipment is managed by FOM (Formula One Manage­ment). Teams take 22-24 tonnes plus the cars. Part of the equipment is sent by ships, mostly big and heavy items like cables, garage and motor-home constructions. Assembling of the garages and motor homes as well as hospitality facilities which are standard equipment for each of the teams, for special guests and sponsors representatives takes around 7-8 hour. · Dismantle of the garages and packing back takes ro­ughly the same time. It means that if there are back to back races, there is very little time. · Fuel and Tires Delivery: Formula 1 team needs around 2000 - 2200 liters of fuel during a GP weekend. It is delivered by their fuel suppliers, for exam­ple for Renault it is Elf and for Ferrari it is Shell. Tires are delivered by tires supplier, which nowadays is only the Bridgestone and it is also a huge challenge, because every team needs to get 14 sets of tires for dry conditions and six sets of tires for wet conditions per single car. · Secure data links: It connects the team to its base, enabling telemetry and other data to be sent directly back (which in turn allows engineers to study any potential problems, even while the race is running). · Development in the standard of racing: One of the big­gest challenges is that the breathless pace of development in Formula One makes life harder; the parts often need to be delivered at the very last minute, normally by hand brought in a suitcase by one of team members. The same happens when spare parts of the car were used due to re­pairs after some accidents; then more spare parts are required in the garage. For this every spare part has its own unique serial number so replacement can be rushed from the factory to the track with no time lost. In the containers and trailers all spare parts, tools and equipment have the­ir dedicated place in the garage on the track. Especially designed garages and motor homes are fast to assembly and fast to dismantle. After all, the speed is everything in Formula 1, even in the preparation before the race. 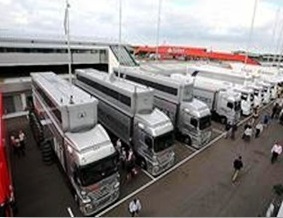 With the spread of F1 races outside Europe, the amount of transport and logistics is also bound to increase manifold. Already the amount of transport required for a season of Formula One racing has been described, only half-jokingly, as being not dissimilar to that needed for a medium-sized military campaign. This article is written by Aman Anshu. He is a PGDM student of 2013-15 batch of IIM Raipur. He has done B.F. Tech (Apparel Production) from National Institute of Fashion Technology, New Delhi. His areas of interest include Sports, SCM and Finance. He can be reached at pgp13061.aman@iimraipur.ac.in.